Voltage: The pressure that pushes electrons from the orbit of the affected atoms. This is measured in volts. Current: The electrons that are flowing once they have been dislodged by the voltage. These electrons flowing are what provides athe work (i.e. lights to light, or elements to heat). This is measure in amperes or amps. Resistance is the property that stops or impedes the electrons from flowing. High resistance has atoms that hold tightly to the electrons so it would take more pressure (volts) to get electrons to flow. This is referred to as an insulator. Low resistance allows electrons to flow freely. This is referred to as a conductor. Resistance is measured in ohms with a symbol Ω. 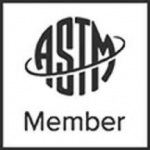 With knowledge of these components there will be a better understanding of how electricity works and how to identify the hazards with associated risks related to working on electrical components. 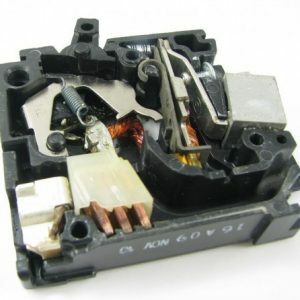 In order to have electrons flowing and do the desired work, there must be an infrastructure of low resistance wires connected to protective devices to prevent fires from overheating, and controls which includes switches. If these devices and equipment are not properly maintained the consequences could be devastating. Before building the electrical infrastructure, the available fault current (the high current from a short circuit or ground fault connection) must be determined. Based on this data, the equipment installed will have adequate AIC (Amps Interrupting Capacity) rating. Often, especially in older facilities, breakers and equipment are “over-dutied” meaning that the rating is not high enough, so it may not operate properly and perhaps cause a catastrophic failure during a fault condition. It’s important to ensure that all equipment has the proper AIC rating. If not, it should be replaced. The next study done in the design phase is a coordination study. There are many layers of protection in the facility starting with the main switch, breaker or fuse, then to a distribution panel main breaker, and on to distribution breakers feeding other equipment with additional protective devices connected to the load being served. Five or six layers of protection are not unusual. All protective devices have a time-current curve indicating the bandwidth of current vs. time that the device will operate. Based on this bandwidth, engineers can determine how devices will operate from a fault and coordinate the timing so that the nearest protective device will operate first avoiding unnecessary major outages. 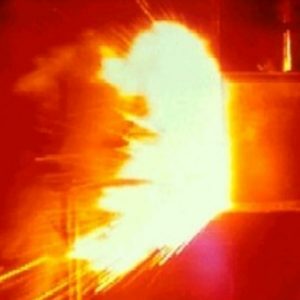 Arc flash hazards can be significant. 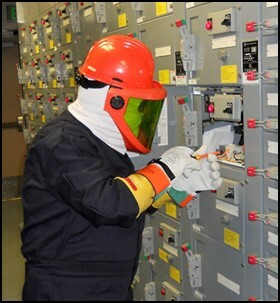 The severity of the arc flash is related to the distance the arc flash travels and the incident energy level at the worker’s position. The incident energy levels (measured in calories per cm²) is directly proportional to clearing time. The greater the time of exposure, the more heat and pressure exposure is generated toward the worker. As discussed above, protective devices are all designed with a specific time-current curve. This information is key to determining the arc flash hazard level. If an engineer determines that the incident energy creates an arc flash of 5.2 cal/cm² to the worker based on the fault current and clearing time, but the clearing time is not accurate because the breaker is over-dutied or has not been adequately maintained, the arc flash hazard may be much higher than calculated and the worker would not be adequately protected even though he/she was protected at the level listed by the engineer on the label. All electrical equipment should operate as designed. Manufacturers will provide information for protective devices including time-current curves and the type and frequency of maintenance. Breakers have many moving parts. If not operated at a reasonable frequency, breakers may fail. What is the duty of the equipment, is the system running at full capacity or lightly loaded? What are the environmental conditions such as high dust levels? Have there been any equipment failures? What is the historical maintenance? 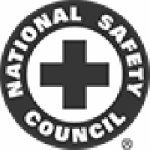 OSHA States that electrical equipment shall be free from electrical hazards, suitable for the installation, and have the capacity to handle conditions connected. In order to make these determinations, the equipment must be examined and maintained. Over-dutied breakers and equipment should be replaced. The impact of not doing maintenance on a regular basis can cause significant damage to the infrastructure with high cost down time, but more importantly, may seriously injure employees. Having blinders on with a “fail and replace” program is not worth the risk.